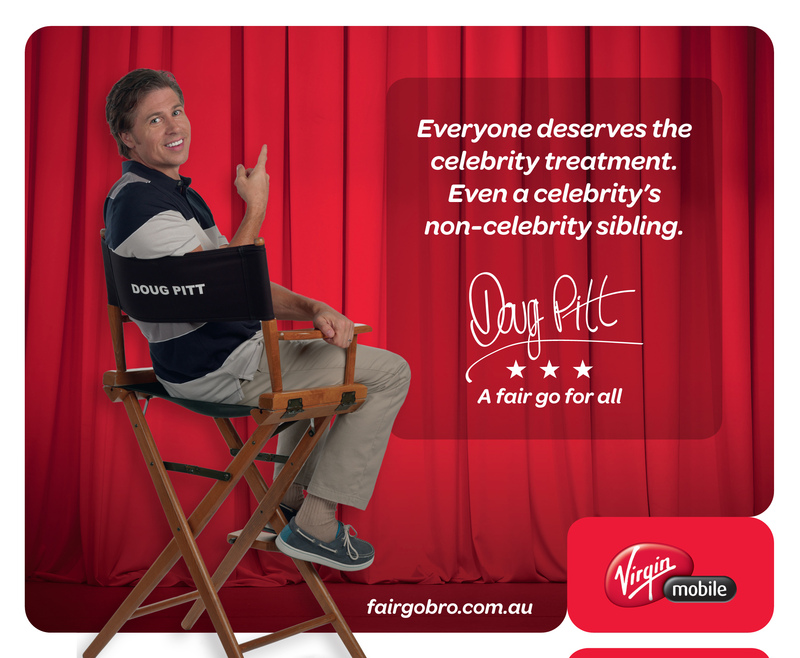 Virgin Mobile is running “Fair Go Bro”, an integrated brand campaign reaffirming the company’s commitment to stand by the Australian value of “A Fair Go”. 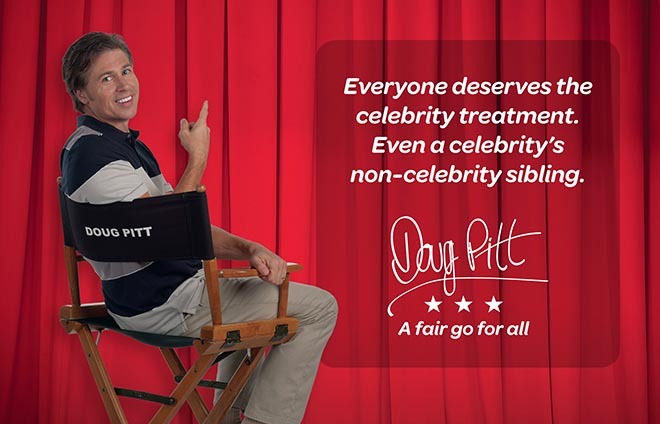 The campaign, centred on www.FairGoBro.com.au, runs against the usual celebrity endorsement approach by giving Brad Pitt’s brother Doug Pitt a taste of the limelight, with his own video, bio and photos. Media support includes online display, pre-roll video, rich mobile executions, premium Facebook advertising and commuter press, along with advertising on the Nova radio network. Additional TV, print, cinema and out of home advertising will be rolled out through the year. The Fair Go Bro campaign was developed at Euro RSCG Australia, Sydney and One Green Bean, Sydney. Digital design and development were handled by Future Buro. Media was handled at Starcom. Filming was produced at Revolver with directing collective The Glue Society. Editor was Bernard Garry at The Editors. Doug Pitt currently serves as a director at Worldserve International, a water sanitation and economic development group that aims to combat poverty by meeting basic needs in the developing world. Doug also leads efforts at Africa 6000 (so named for the 6,000 African children who die daily from waterborne disease because they have little or no uncontaminated water), and serves as the Goodwill Ambassador for the United Republic of Tanzania.